As the transfer window draws to a close several clubs around England are working to secure last-gasp deals and Liverpool are no exception. The Reds are reportedly mulling a transfer move for Lyon star Nabil Fekir. According to the Mirror Liverpool are preparing to place a bid of £60 million for the 25-year-old midfielder. Fekir has developed into one of the highly coveted midfielders in Europe due to his impressive performances for Lyon last campaign. The French ace had an outstanding season scoring 23 goals and providing 8 assists as he led Lyon to a third-placed finish. He was also part of the victorious French squad at the just concluded world cup in Russia. Liverpool had moved in for the player at the beginning of the transfer window and agreed a £55 million deal for the French man but a persistent knee injury discovered during his medicals made the Anfield outfit to pull off from the deal. 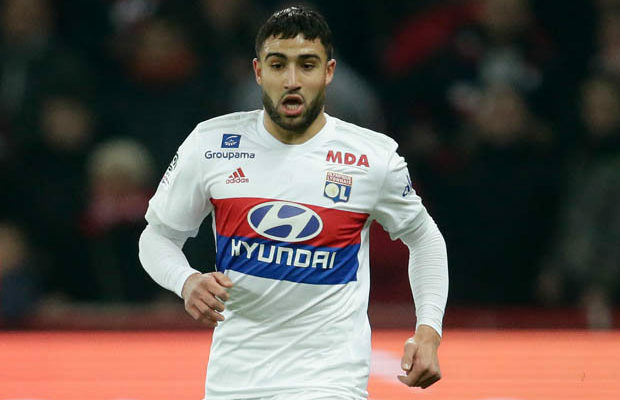 Fekir is expected to remain with Lyon this summer as the French club have offered the midfielder a new contract. However French tabloid L’Equipe reports that there is a chance of the transfer being resurrected as Klopp seeks to bolster the midfield with one more signing. According to the report Lyon are still smarting from the earlier debacle and would demand £60 million for the midfield ace. Liverpool have been the highest spenders this summer spending over £170million as they look to challenge for trophies this season.